Determine if the P368M is the best fit for you. Ideal for accurate presetting right next to the machine. The P368M is the first step towards tool presetting in the production line. 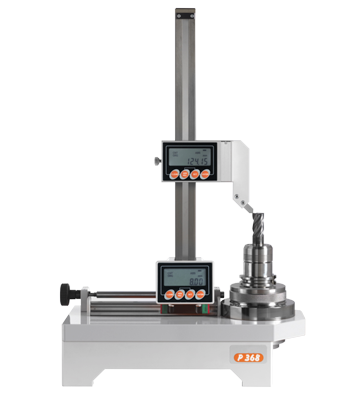 It is also the perfect, versatile measure instrument for those who already have a presetter in their tool room. The P368M makes measuring tool radius, diameter and height extremely easy. 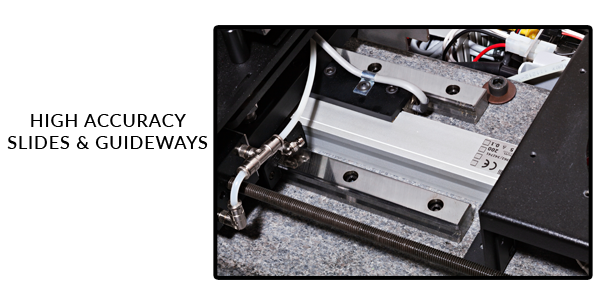 With an oversized linear guide with preloaded re-circulating bearing slides, you will always get accurate movements and precise measurements. The P368M has a solid base and provides smooth and accurate linear movements. It was designed to make tool and height management as simple as possible and always accurate. The digital display is clear, simple and easy to read, and has the ability to memorize up to 4 machine origins.